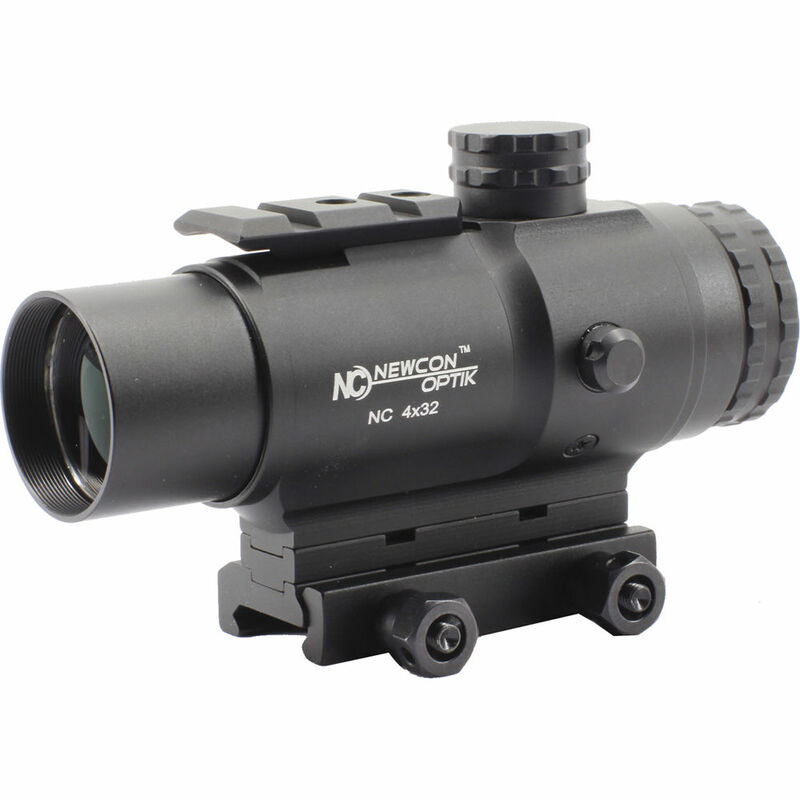 Gain a tactical advantage with the Newcon Optik 4x32 Prismatic Sight. This device is designed for close quarter combat and features a top Picatinny/Weaver rail for attaching other accessories like lasers, cameras, and flashlights as well as secondary optics like holographic sights. To provide maximum image brightness and clarity in demanding situations, the lenses are multi-coated. To help with precision target acquisitions, the sight features a Red-Green Mil-Dot reticle. To accommodate variable lighting conditions and personal preferences, this reticle also offers adjustable brightness. Designed to withstand rigors of the battlefield, the housing is made of high-strength aluminum. It offers a waterproof performance with a submersion rating to 9.8' for 30 minutes. 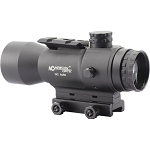 Enabling you to account for winds and ballistic drops, the scope provides windage and elevation adjustments with 1/2 MOA click values. For compatibility with most firearms, the sight also features a built-in Picatinny/Weaver rail mount.